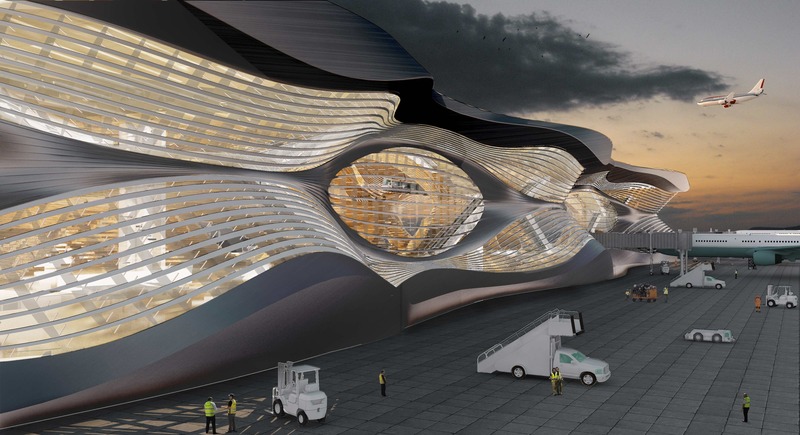 "Flow-In" is a reimagination project for Terminal E of the Philadelphia International Airport. 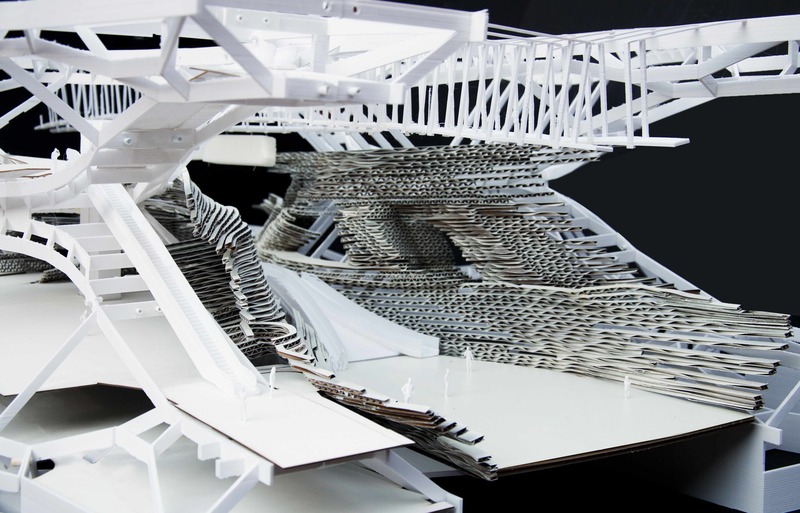 The studio explores form finding through 3D graphic statics and creates unconventional structures that are in equilibrium. The specific structure merit of our module is the absence of vertical members and thus affords a continuous and spacious corridor surrounded by individual pods that are good for boarding. The overall ideas are to increase efficiency at security and baggage claim as well as to create a central axis that is activated both spatially and visually by activities and movement. Specifically, the overall site plan represents an aggregation of two module clusters, one as domestic terminal and the other as international. Each module cluster has its own security checkpoints connected by air train. Passport controlled passengers flow into the central corridor space which interconnects first level commercial spaces, second level waiting and, lounges on the third level, and air-train and administrative spaces on the top level. Passengers enjoying all levels are provided with views to the airplanes and boarding gates. Independent luggage conveyer system is below grade and is connected to each boarding gate.